Cardiff Blues wing Chris Czekaj has signed a two-season deal with French second-tier club Colomiers. The 28-year-old, who has won nine Wales caps, has been at the Arms Park throughout his career. 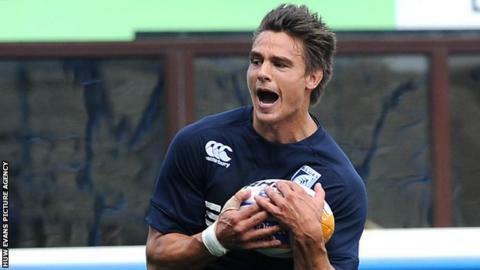 But Colomiers have confirmed he will join them at the end of the 2013-14 Pro12 campaign. Czekaj made his Wales debut against Canada in June, 2005, and won the last of his caps as a replacement in a 25-16 defeat by Australia in November, 2010. His career was interrupted by a broken leg suffered in the second Test of Wales' June 2007 tour to Australia. The wing went on to make three more Wales appearances.